Welcome Suncoast Perfusion Services, Inc.
Suncoast Perfusion Services is a Comprehensive Blood Management Service Provider. We partner with Hospitals, Physicians, Surgery Centers, Wound Care Centers and Blood Banks to offer improved patient outcomes at a reduced cost. Our Team becomes a part of your team, we will provide you with valuable, actionable reports on all blood products used throughout your facilities, help build and guide your blood management team, provide education to your physicians and staff in addition to many more services such as Auto transfusion, Perfusion, Platelet Gel and Bone Marrow Stem Cell Concentration procedures. Suncoast Perfusion Services, Inc. is a full service autotransfusion service corporation. Our service include furnishing capital equipment, associated disposable supplies and certified Peri- Operative Blood Management Technologists. Our blood management experience is extensive, and we are dedicated to providing the safest surgical environment possible for your patients. Our staff consists of Perfusionists, RN’s, LPN’s and Paramedics who have all received extensive training in Blood Management as well as certification in autotranfusion. You will have a worry free, high quality, guideline compliant Perfusion/Peri- Operative Blood Management Program. We are a free standing perfusion company and we provide a complete service including machines, disposables, personnel, preventative maintenance, quality assurance program, policy and procedure manuals, The Joint Commission, AABB required education, certifications and insurance. All of our disposables are purchased from FDA approved vendors. 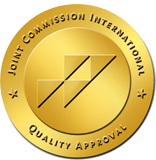 We are the first and only free standing Perfusion Company in the United States to be Accredited by The Joint Commission. We are dependable, knowledgeable and reliable. With a response time of 40 min or equal to your hospital staff response time. We have 15 years of experience with excellent references as being high quality and on the cutting edge of technology. We have a highly educated, professional staff that will blend in as part of your health care team to become an asset to your facility. We will keep your physicians up to date with any new technology or information that will allow them to give better and/or more cost effective care to their patients. We can provide you and your physicians with usage analysis reports so you and they can decide if any changes in the ordering of or usage of pero-operative blood management services is necessary. We are a comprehensive blood product management company that can offer you value added services of consulting and education. We will individualize your services and products to fit your needs. TO CONTRIBUTE TO A HEALTHCARE TEAM THAT IMPROVES THE QUALITY OF LIFE OF THE INDIVIDUALS IN THE COMMUNITY WE SERVE. At Suncoast Perfusion, we pledge to provide distinctive quality and unparalleled customer service as we strive to gain the respect and trust of our customers, suppliers and partner vendors. Here at Suncoast Perfusion, we are continually striving to provide the most current resources and information on all aspects of the Blood Management industry. We hope you find what you are looking for here, and we thank you for visiting our website. If you have any comments or questions or require clinical services, please feel free to contact us at (866) 842-5663 or visit our frequently asked questions forum for assistance.